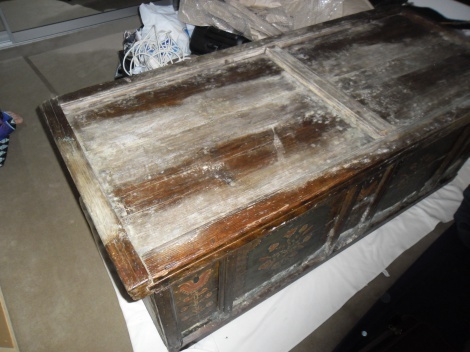 This is an example of an antique marriage chest shipped out from Ireland. During transport the item was severly water damaged. The clients wish in this case was to have it restored to the same condition as before it was transported to Melbourne.